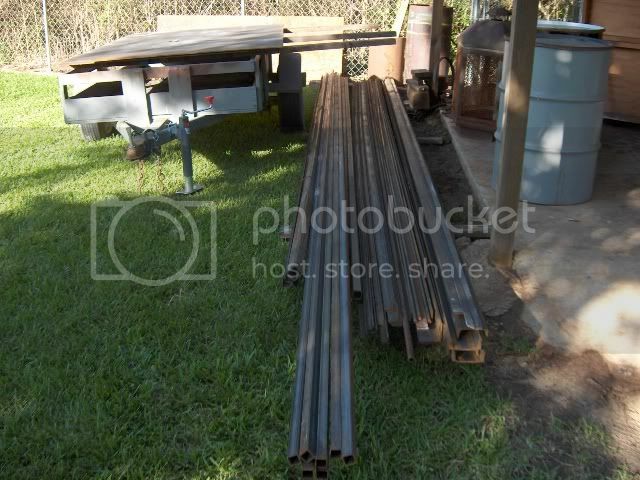 The guys delivered my steel today for my next build. I have a few things to complete before I start. decking plate and expanded metal next week. Another cooker in the making. I think I might have pulled something unloading all the steel.....Aflac?? Thank You BigPhil32, it will be a fun one I hope. C.J., you need to get out of the office more. You know my work place policy, if you hurt yourself on my job don't do what you just did again. 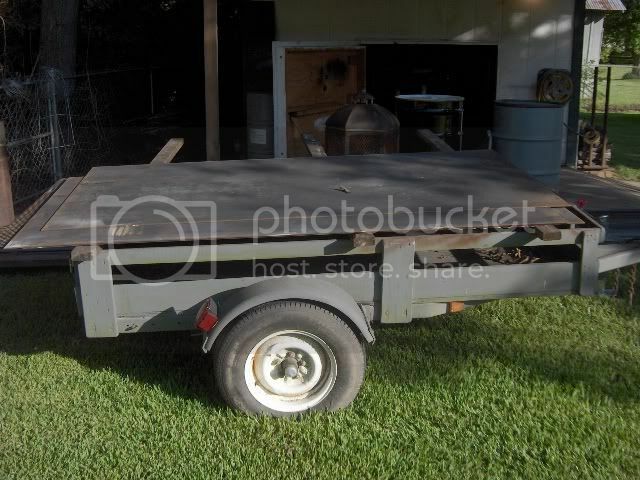 Cody, the plan right now if it does not change is a walk on trailer with an R/F cooker. The door on this one will be large enough for a full sized pig. Kam, I don't know about there but here that steel is getting dam expencive! Haaseman, the same here my man. The prices are really starting to climb. Oh, this is good! The fall season is upon us soon. Pre-season football has begun, new NCIS epsodes due out, and the k.a.m. show is about to return with a new adventure. Best of the best. Can't wait. Thank You Wreckless, This one might move a bit slower than the boys build as I am not really under a time crunch and I missed my fall Flounder fishing last year. Thank You BBQ Dreamer, I hope to come up with a few new ideas on this one. I/We have changed the plans several times already. Taking notes my friend. I hope all goes smoothly. Chuck, That is up to Debbie. You know she is partial to orange. KAM been waiting for this build to start. Really looking foward to seeing the progress and the craftsmanship as in all the cookers you build. It aint cheap sending it over here from China. Have fun on the build Kevin. Look forward to seeing the build. I'm not 50 yrs. old I'm 21 with 29 yrs. experience.